eHive applies professional standards in collection management practice. It is the result of careful research and development by Vernon Systems, a team of museum and IT professionals committed to promoting excellence in collection management. 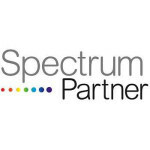 Vernon Systems is a SPECTRUM Partner. Collections Trust develops the SPECTRUM collections management data standard. Dublin Core, a standard format for describing and sharing collection records. Open Archives Initiative Protocol for Metadata Harvesting, a standard for copying data records between websites. This is used by partner sites such as Trove (National Library of Australia) and Digital NZ (National Library of New Zealand).